Religion and security play an important role in traditional societies. In South and Central Asia, traditional and moderate Islamic beliefs and practices with strong indigenous and Sufi content are diametrically opposed to radical Wahabi and Taliban brands of Islam intolerant of other cultures and groups. The emergence of radical extremist and violent Islamist movements poses serious challenges to the secular and democratic polity, inter-religious harmony, security and territorial integrity of states in the region. As such, religious extremism, terrorism, drug trafficking and arms smuggling are viewed by various countries in South and Central Asia and also in the West as the main threats to their security. 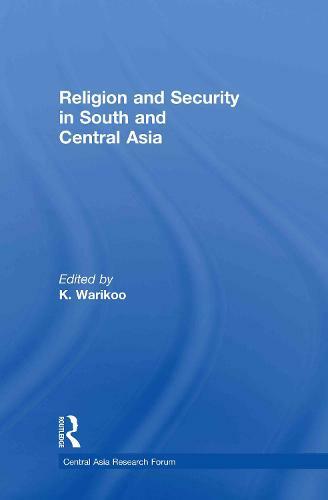 Against this backdrop, this book provides local perspectives on religion, security, history and geopolitics in South Asia and Central Asia in an integrated manner. Presenting a holistic and updated view of the developments inside and across South and Central Asia, it offers concise analyses by experts on the region. Contributors discuss topics such as the resurgence of the Taliban in Afghanistan, the politics and practice of Islamist terrorism in India, and the security challenges posed by religious radicalism in Bangladesh. The book makes a significant contribution to South and Central Asian Studies, as well as studies on Regional Security.